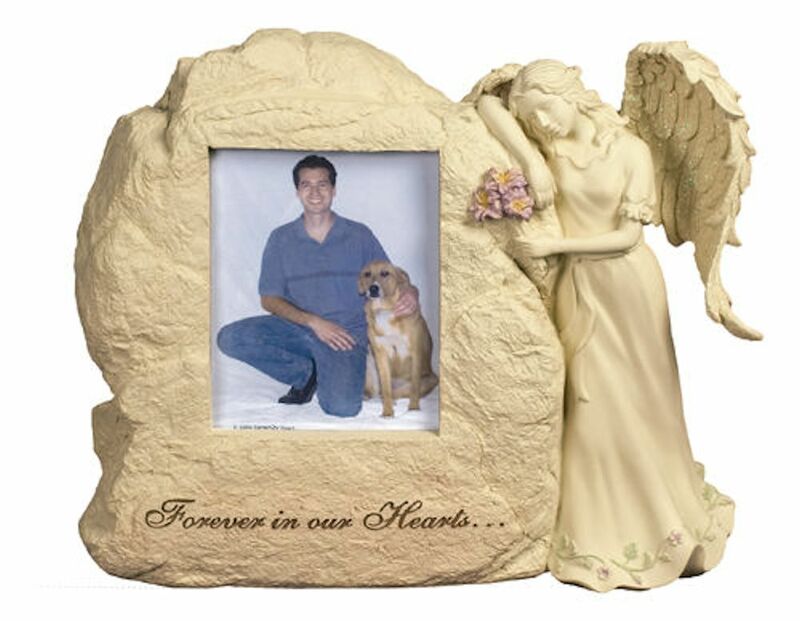 Use this beautiful sculpture as a traditional urn or as a space to hold special tokens of remembrance. The urn measures 9" x 11" x 5" - 90 cubic inches. It holds a 5" high x 3 3/4" wide photo. The urn cavity is accessible from the bottom of the piece and is sealed by a removable metal plate. A touch of color in the flowers brings a little something unique to this design.